This is the time of year when Nouveau Beaujolais bursts onto the market. Met with both excitement (PARTY!) and dread (not another Nouveau release, yuck). This year, the French Winophiles teamed up with some generous Beaujolais Vignerons to offer some wonderful Beaujolais choices beyond Nouveau. Take a look further down this post for a full list of over a dozen links to our findings on Beaujolais beyond Nouveau. 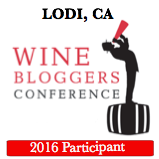 Disclaimer: Three of the four wines featured in my post today were provided as samples. All opinions expressed are mine. Beaujolais classification follows a general pyramid with basic Beaujolais AOC at the base. The next level is Beaujolais-Villages. The top level is shared by the ten Cru Beaujolais. There isn’t a pecking order among the Cru’s, everyone has their favorite. Confusingly, the Cru Beaujolais are no longer labeled “Beaujolais” at all, they only carry the village name. A sure recipe for success in the US (not!). All Beaujolais wines will fit into the general descriptor of lighter, food friendly red wines high in acidity and low in tannins. Generally, Beaujolais and Beaujolais-Villages will be light, easy drinking wines perfect for the porch or lunch. The Cru Beaujolais can be more serious, and some are known to be lighter in body while others are quite a bit darker and richer. Let’s dig in! The Vignerons de Bel Air are an interesting group; they are a cooperative of 250 growers with a total of 700 hectares (1 hectare = 2.2 acres) in which all the members estate bottle their wines. This is different from most cooperatives which suffer from quality vs. quantity struggles. The Vignerons de Bel Air retain control over individual wines, thus assuring a personal attention to quality. The lightest in color of all four wines sampled, this wine showed classic Beaujolais earthy nose with bright strawberry fruit from semi-carbonic maceration (traditional Beaujolais vinification). The palate was ripe with lively acidity and low tannins. This wine was very good with the pork dish, on the lighter side. Perhaps a bit underpowered for steak, it could take a slight chill and be easily served with chicken, pork, fish and be a great wine for the deck in the summer. Gilles Paris takes as natural an approach as possible both in the vineyard and in the cellar. He farms 5 Hectares (HA) organically including vines of up to 50 years in age. The soils in Chiroubles consist of decomposed granite. The vinification is all native yeast fermentation, no sulfur is used either in-process or at bottling. Chiroubles “Terroir” is fermented and aged entirely in stainless steel tank using semi-carbonic maceration for 15-20 days. This wine pale to medium in color and slightly hazy, indicating it was unfiltered. The wine has definite fine sediment, again showing no flavor was lost in filtering. This wine showed typical Beaujolais earthiness, with quite tart cranberry fruit notes, which matched up with the semi-carbonic maceration. Again with lively acidity and low tannins, it showed good Beaujolais character. If you think all natural wines are funky and flawed, you should seek this wine out. This wine is marked “sans soufre” so no sulfites were used to stabilize the wine. It meets all the AOP requirements and tastes as fresh and pure as any other well made Cru Beaujolais. Here’s one to save: when you visit Beaujolais, consider staying at the Domaine de Briante! The winery is also a Maison d’Hotes, so they have guest rooms and they look beautiful! The website is in French, so you may want to use Google translate or view the web page in Chrome. Medium in tone, this wine showed a bit darker richer side of Cru Beaujolais. Always earthy with darker blueberry and black berry notes. This wine also showed a bit more tannic punch than the prior wines. Still not mouth scouring, just a bit more than the earlier examples. This wine shifted over to a place to be comfortable with grilled red meats, although it was still very enjoyable alongside pork chops with a tasty bed of onions, spinach, cornichons and tomatoes. Dominique Piron’s family has been rooted in Beaujolais since 1590 with 14 generations of winegrowers to their credit. Dominique Piron is engaged in sustainable winegrowing. On winegrowing land filled with old broken-down granite and schist, the watchwords are natural balance and biodiversity. Fermentation is in the Burgundy style, that is to say not carbonic maceration but traditional fermentation in vats with daily pigeage (foot trodding) or puchdowns, aging in neutral oak, being careful to avoid oaky flavors which aren’t appropriate for Gamay. Medium in color, this wine was the darkest of the bunch. Fresh dark fruit and lovely herbs on the nose. Again, deeper in tone with lively acidity and medium tannins. The structure of the Brouilly and the Morgon Cote du Py stood out as deeper and fuller in body than the others. While very good with the pork, this wine would have no trouble pairing with braised, roasted or grilled meats. Maybe not so much with delicate fish. Our Beaujolais wines showed different sides of Beaujolais character, but the differences were more of nuance than broad strokes. The first two showed the bright red fruit typical of semi-carbonic maceration, while the last two showed darker fruit, likely due to a more burgundian fermentation style. Still, they were all Gamay and showed lovely Beaujolais character. We paired the wines with a dish from my favorite cookbook with recipes seeming to originate from the environs around Lyon, which is perfect for Beaujolais. The dish included pork chops with an unusual (to my American palate) combination of onions, cornichons, spinach and tomatoes, but it was perfect with the Beaujolais. The cornichons gave the entire meal that vinegary acidity and snap, so a wine with lively acidity is needed to match up with the dish. Gamay did the trick! Pick your favorite Lyonnais dish to serve with Beaujolais. Or hamburgers. Or chicken. Or beef. Beaujolais is versatile! Go ahead and pick up a bottle of Nouveau, but not two! Instead, take a look at our posts and pick up something equally economical, equally perfect for the dinner table, but with more personality, more depth, or more OOMPH. Here’s a compilation of our posts. Don’t forget to join our chat! Add the cornichons and spinach and cook until the spinach is wilted and the corninchons are heated through. Serve the pork and vegetables over couscous or rice. Interesting meal pairing. Sounds delicious. This was a fun adventure. Wow….What a great write up on all the wines of Beaujolais. I can see that pork is a great pairing with wines from this area and your recipe sounds delicious. Thanks for hosting this month Jeff. Thanks Wendy, pork is so central to the food culture in Lyon, I always think of it first for Beaujolais. Happy to host, as always! Appreciated the informational side of your post Jeff! That tad of acidity in a meal/dish definitely works with Beaujolais- I found that first hand too. Thanks for hosting #winophiles this month! And a huge thanks back to you, Lynn for sourcing all those Beaujolais for us. What a treat! The Beaujolais quality pyramid concept is so easy to understand. Thanks for the idea! Thanks for sharing your thoughts on the wine and the pairing. Wonderful as always! Love the idea of chilling the Beaujolais-Villages a bit. So often, red wines are served too warm, even in really top-notch restaurants. But that wine in particular, what with its rather bodacious acids, surely wouldn’t be quite as good at room temperature as at cellar temperature. thanks, Rob. I started getting better about my red wine temperature in the summer and now I’m really adamant about it being just right. They all need to have just a bit of chill, but the Beaujolais even more so! That recipe is calling my name! Or maybe it’s my husband calling, begging me to make it soon. I’m always looking for new ways to cook pork chops, and this sounds delicious. Another great post, Jeff. Thanks for hosting this month! Thanks, Lauren. I loved the veggies as they are definitely a departure from a typical American approach and seem so French. Good to learn a bit about what causes the different flavor profiles. Thanks David. I’m so glad I was able to test one vs. the other simultaneously. Now the future question: will I be able to pick it out without knowing! Great post! Your photos of the wine clearly capture the slight difference in color between the wines. I think I need to attend your photo school! I agree tasting the semi-carbonic maceration Beaujolais side by side with the burgundian fermentation style Beaujolais made for a memorable (I hope) comparison for future reference. So many lovely Beaujos and quite a few new ones for me to seek out and try! That pork chop with the cornichons also sounds soooo delicious! Thanks Nicole. The dish was delicious and just different from what we typically get in the states. Excellent! Enjoyed this post, Jeff. So bummed to miss this December Winophiles, especially since I love Beaujolais (work, life, yada yada…). January for sure! Thanks Frank. You do realize we’ll be docking your pay for missing…… oh,that’s right. no pay anyway. We missed you and look forward to when you can join us! Yum! Interesting recipe — my spouse loves pork and this looks like a worthy new recipe to try! It’s the best kind of recipe, Gwen. Easy, delicious, and low cleanup! P.S. it would be camp friendly as well! I find the cru comparison fascinating. Honestly, I’ve had all of the Rhône crus, side-by-side and individually, but there is something a bit more systematic it seems about Beaujolais. Something consistent in the structure. I am so pleased we had this in-depth month with Beaujolais!